Kennels on the premises give you the opportunity to leave your dog for a few hours for someone else to look after. 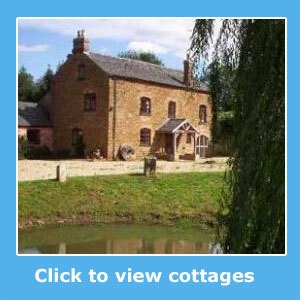 When you take a self-catering cottage holiday, you want to be able to take the whole family with you, pets and all. A holiday is supposed to be fun for the whole family, and, as any pet owner knows, it just isn’t the same if your treasured pet isn’t there to enjoy it with you. The absence of a dog in particular really can leave a gaping hole in any family holiday, and if you can’t find a cottage that will allow pets, it can seem impossible to take them too, but with kennels as an option, this doesn't have to be the case. A holiday cottage with kennels on site can be really useful when you go away. There are some activities on a country holiday that you simply can not take your dog along with you for example paint balling, archery or rock climbing. These are all really fun activities that you can do on holiday and may never get the opportunity to do again so you really shouldn't miss out just because you have your dog with you. This is when boarding kennels where you can leave your dog for a few hours can really come in handy, meaning that you can enjoy these activities without feeling guilty about leaving your dog home alone in strange surroundings. Kennels where you can board your dog mean that your dog isn’t alone in strange surroundings, something which can be very distressing for dogs. It ensures that they have some company throughout the day as there will be staff at the kennels available to look after your dog and this means that you can enjoy the activities that you want to do without having to worry that your dog may be upset, stuck in the holiday cottage by themselves. It also means that your dog gets a change of scenery, ensuring that they are not cooped up in the same place all the time. There is the possibility that your holiday cottage does not allow you to leave your dog alone at home due to fear of damage to furniture or ornaments. In this instance, boarding kennels can be massively useful to you as they mean that you can still take your dog away on holiday with you. This is perfect as if you are going for a walk or doing any outdoor activity that the dog could join in with, then the dog can join in, but if not then the dog can stay at the kennels. This means that both you, and the owner of the cottage, does not have to worry about any damage that could occur due to your dog. In addition, some dog owners would argue that it is cruel to leave your dog home alone in a place that it does not know. It can be very distressing for the dog, often causing owners to feel that the dog should not be left alone if this is the situation. Boarding kennels where you can leave your dog for a few hours can really help with this, ensuring that your dog is okay and that you have complete peace of mind that your treasured pet won’t be distressed in unfamiliar surroundings. Leave your dog in the care of pet-friendly cottage owners who will assume full responsibility for your dog for a few hours whilst you go out for the day. Dog sitting is an extra service and will incure fees. Book a pet-friendly self-catering break in Britain or Ireland so that you can have a holiday and yet know that your dog is well cared for. Dogs welcome self-catering breaks save money when there are no kennel fees to pay. Explore Britain with your dog, its numerous footpaths and trails.